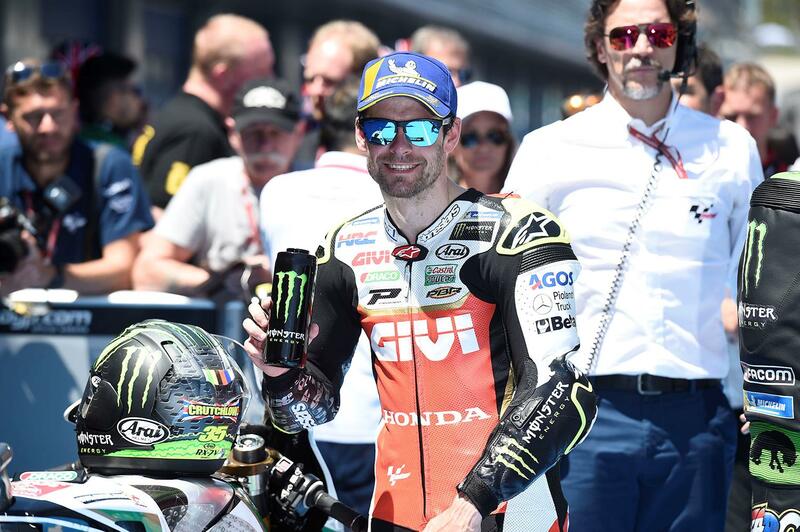 Cal Crutchlow has romped to his fourth career pole position in MotoGP by taking a dominant top spot for tomorrow’s Spanish Grand prix at Jerez. 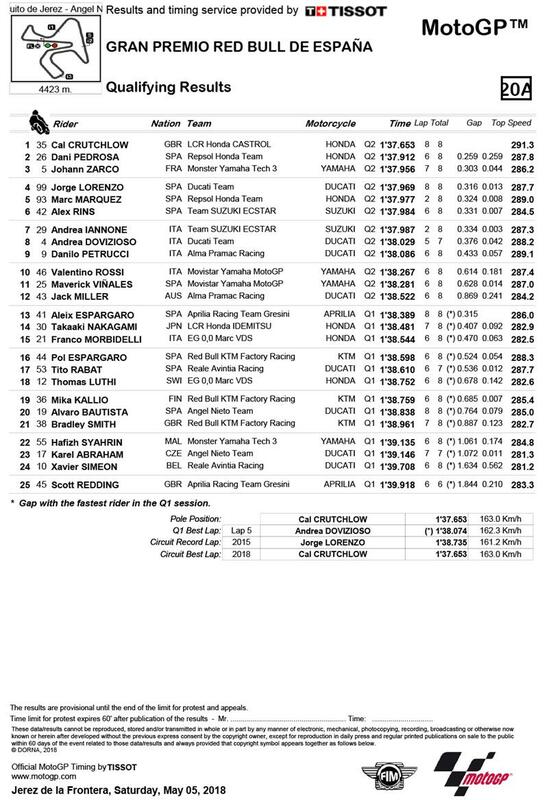 The LCR Honda rider smashed the absolutely lap record despite the afternoon’s hot temperatures to leave himself ahead of Dani Pedrosa and Johann Zarco on the grid. “I’ve only been on the front row once since here in Jerez last year, so it’s nice to take a pole position. We’re here to race of course, and that’s the key point of the weekend, but after bad qualifying in the last two races it’s nice to make up for that and get the pole for my LCR Honda CASTROL Team. I’m not sure these are the best conditions for our bike, honestly speaking. We have to manage the situation with the front tyre very carefully, but I think we did a good job overall today. We made the gamble with three tyres, although I might still have taken pole using just two if I’d needed. Jorge Lorenzo was a strong fourth at the track where he took his first Ducati podium twelve months ago, ahead of Marc Marquez, slowed down by a close shave that almost saw him fall, and Suzuki rider Alex Rins. However, difficulties continued for the factory Yamaha racers, with Valentino Rossi and Maverick Viñales starting from tenth and eleventh.